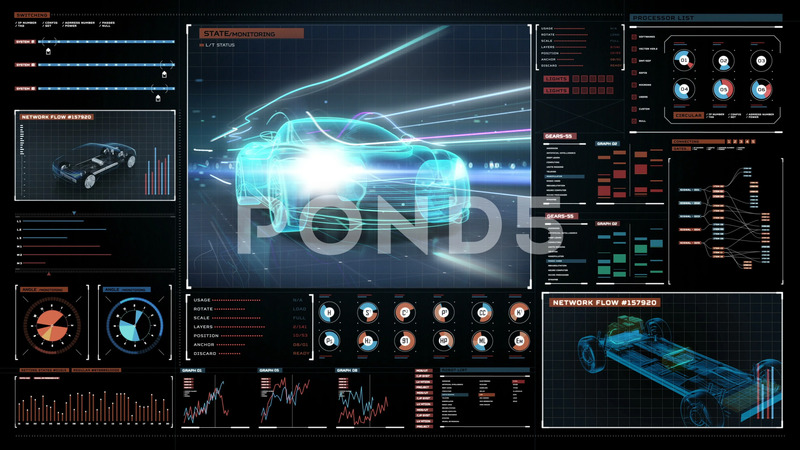 Automobile Technology In Futuristic Display. Running Car With Line. 4K.2. Description: Automobile Technology in futuristic dashboard display. running car with line. 4K size movie. 360 X-ray view.